Star Wars Land: Where, When, Who, What? Toontown Lives! Where Will the new Star Wars Land Be Located? When Will We Get Star Wars Land? Who Is Leading the Creation of Star Wars Land? 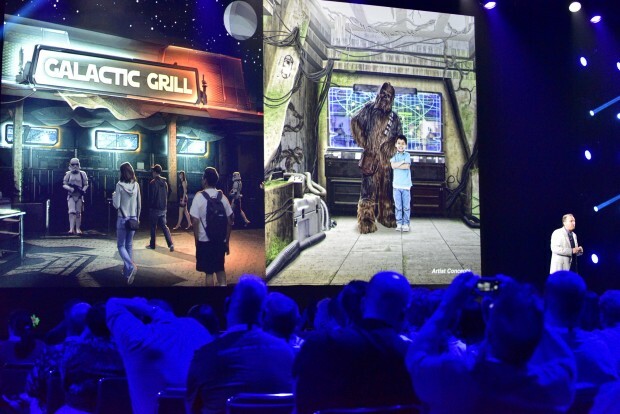 See the full presentation from the Disney Parks Presentation by Disney Parks Presentation Bob Chapek and Head of the Star Wars Creative Portfolio, Scott Trowbridge. Later that day more information was provided and pictures were allowed at the Disney Parks Presentation. This presentation was hosted by the newly appointed chairman, Bob Chapek. 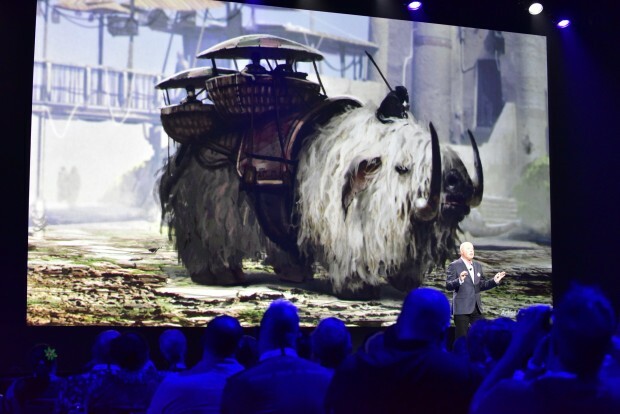 While they mainly rehashed information from the the presentation in the morning, our photographer Chris Murray was able to grab shots of all of the concept art that was presented. 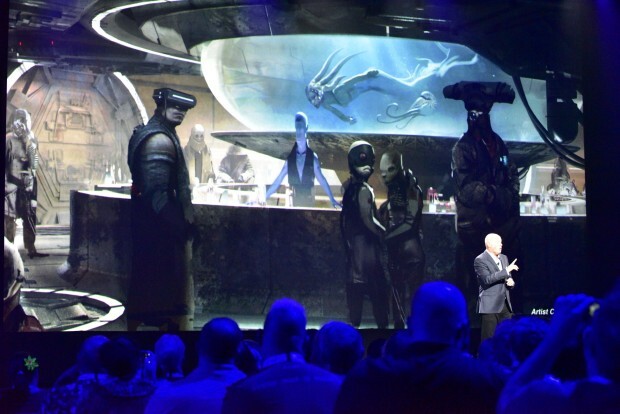 Once Bob Chapek had repeated all of the information from the morning presentation, he brought Scott Trowbridge, the chief creative Imagineer in charge of Star Wars, onto the stage. Trowbridge acknowledged that this project has “40 years of dreaming to live up to,” and that the project is only possible because of the incredible partnership between “WDI, our park operators, and most importantly our team members at LucasFilm.” Before leaving the topic of Star Wars Land, he hinted at the classic blue milk, which I am sure will be sold in this new land. 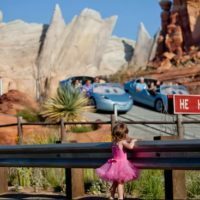 He went on to describe a series of new experiences coming to Disneyland and Walt Disney World that will debut before the new land opens–some even opening in the next two months. 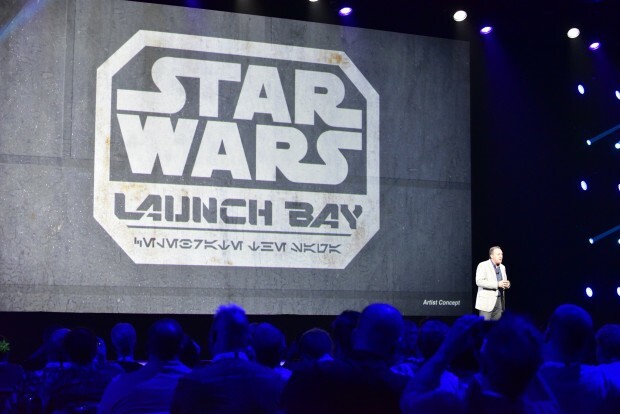 The Star Wars Launch Bay will be a special experience that aims to bring to life the new Star Wars: The Force Awakens film. This experience will be filled with exhibits that provide behind the scenes looks with props and the latest versions of the new Star Wars video games. There will also be a collection of new meet and greets with Star Wars characters inside of the Launch Bay. This new attraction will be located in the Animation Courtyard at Hollywood Studios in Walt Disney World and in Innoventions at Disneyland. (Also announced for Innoventions is a new Marvel experience). You should expect this new experience to open around October 11, 2015. Disney recently put out a casting call for actors for Star Wars Launch Bay and required them to be able to start on that date. 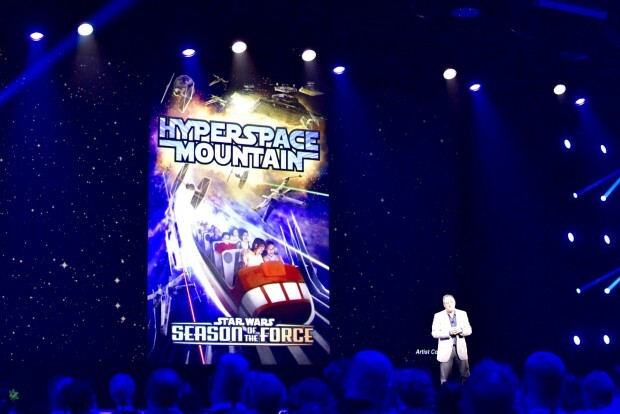 Next announced was the new Season of the Force event that will be coming in Early 2016 to Disneyland and Walt Disney World. This will be an event “inspired by the popular Star Wars Weekends” and will include special food offerings and character meet and greets, plus other special attractions. In Disneyland we will see addition of an incredible overlay for Space Mountain, that will transform it into Hyperspace Mountain. Compare this overlay to the Halloween Ghost Galaxy version. Hollywood Studios will receive a new night time fireworks show themed completely to Star Wars. 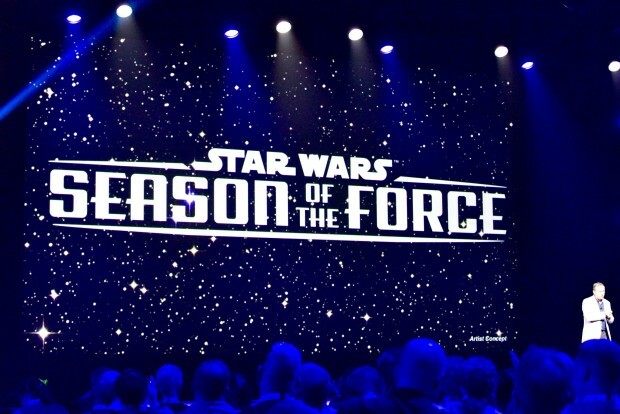 No word has yet been given on the length or start date of this special “Season of the Force” event, beyond the Early 2016 listing. 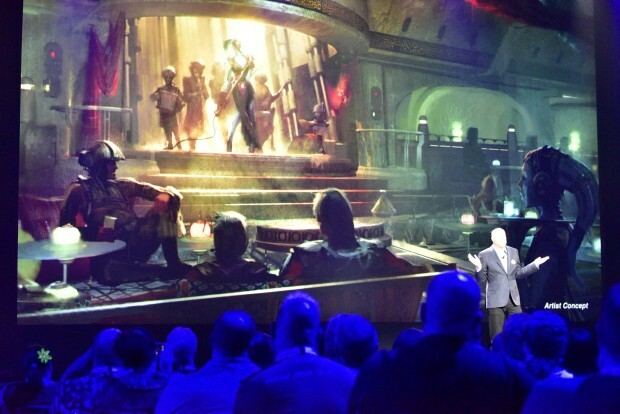 The concept art on the left appears to be an overhaul for the Tomorrowland Terrace restaurant in Disneyland. Finally, they announced that a new destination from the new movie will be coming to the Star Tours attraction this winter. You should expect to see the new destination in place in later November or early December as they prepare for the new movie. Disney also just announced after the event that Disney Visa Cardholders will have exclusive Star Wars Darth Vader meet and greets in both Disneyland and Hollywood Studios. These meet and greets will open in early 2016, most likely along with the Season of the Force special event. So, now that you have all of the information that was given to us in the presentations, it is time to dig into what all of this means for Disneyland and Walt Disney World, and give you some background on the team that is designing all of these new Star Wars offerings for the Disney Parks. @Wraithkelso It is not replacing Mickey’s Toontown. It will be in the Big Thunder Ranch area, inclusive of some backstage locations. This is great news. Once this tweet was sent, the news spread like wildfire and people began to draw out the possible placement of attractions in the new land. This new land will really be expanding the capacity and reach of the park, with very little being lost. The only thing being removed is the Big Thunder Ranch area and the backstage buildings behind the area. The backstage buildings will be relocated across the street to the recently purchased property. While the festival area and Big Thunder Ranch Barbecue do serve as nice tranquil spots, the loss of these areas will be more than compensated for by the incredible new Star Wars land. 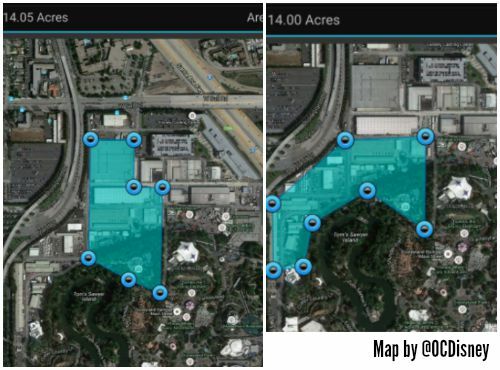 There are really two layout options for the land, and Joseph Pimentel, the Disney reporter at the OC Register, captured the possible layouts that would fit the description of the expansion area. One version would simply push the park out and into the backstage areas, while the other would connect Critter Country and Frontierland, looping all the way around the Rivers of America. In Walt Disney World, there are quite a few more options for the layout. I will leave the speculating up to Robert Niles over at Theme Park Insider (he wrote a great article discussing all of the possible Hollywood Studios Star Wars Land locations). So now that we have an idea of where the land may end up in the parks, we have to ask the question, “when will we get Star Wars Land?” Using history as a guide, my guess would be 2020. The Disney California Adventure major additions took about 5 years from announcement to completion. From 2007 to 2012 the park opened the new Toy Story Mania attraction, World of Color, Ariel’s Undersea Adventure, and the final culmination of Cars Land and Buena Vista Street. Most likely, Disneyland and Hollywood Studios will follow similar timelines with their expansions. Hollywood Studios will open Toy Story sometime in the next three years, probably about one-two years in advance of Star Wars Land. Add the recent ruling by the Anaheim City Council that if Disney spends $1 billion dollars expanding the Disneyland Resort, they won’t have their tickets taxed for the next 30 years. The ruling states that Disney must begin the construction by 2017 and complete the construction within 7 years to avoid the gate ticket tax. This means that the latest Disney will open the new Star Wars Land will be 2024. But, I don’t see this ever happening, because they want to ride the Star Wars tidal wave that has begun and will continue through the next releases of Star Wars films that are currently scheduled up until 2019. It is in the best interest of the parks and the studios to get the land open as soon as possible. There may be more of a secret theme park battle going than any Disney or Universal spokesperson is willing to let on. I am of course talking about the newly built and soon to be completed Wizarding World’s of Harry Potter in Orlando and Hollywood. These new lands are forcing Disney to become better, as we discussed here. So, it is quite interesting that Scott Trowbridge was put in charge of this new Universal-busting project for Disney as he was one of the lead creatives for Universal Studios just 8 years ago. While there he led the creation of the Revenge of the Mummy: The Ride, The Simpsons ride, Sesame Street 4-D, led early development of The Wizarding World of Harry Potter–he even starred in the official Harry Potter announcement video before he left in 2007. Now, he is leading the Star Wars expansion, and ironically, starred in the announcement of the new Star Wars Land at the D23 Expo. This cross pollination can only be a good thing for theme park fans and the Disney Parks. Star Wars is in good hands at Walt Disney Imagineering and with the Board of the Disney Company. 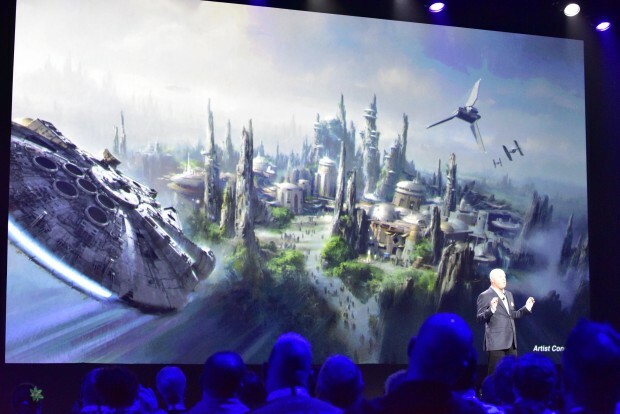 Here’s one more story for you before we go: two other versions of the Star Wars Land were presented to the Disney Board of Directors. The board rejected both of the original concepts because they weren’t anything original and in their opinion fell flat. The Board of Directors continually sent back the designs until the Imagineering team landed on the design that we see in front of us today. When this land opens sometime around 2020, expect something that will knock your socks off and something that Universal will not be able to counter with even the most powerful Harry Potter confundus charm. Update 8/26/15: The Big Thunder Ranch area has been said to be closing on January 11, 2016 at the close of the holiday season at Disneyland. No official confirmation has been given. 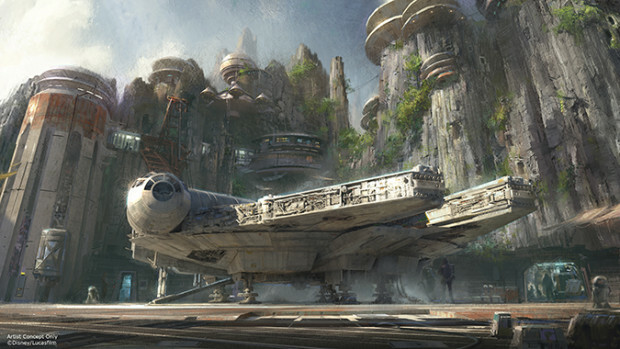 This article will be updated with any other Star Wars Land news or information that we receive. Think of this as your hub for news from the new Star Wars Land coming to Disneyland and Hollywood Studios. Update 9/11/15: Tom Staggs, the Chief Operating Officer of the Walt Disney Company announced today that ground would be broken for Star Wars Land in early 2016. No opening date has been provided. Also, this will be the last year for the Osborne Family Spectacle of Dancing Lights at Disney Hollywood Studios. This area will soon become the construction site for the new Toy Story Land and Star Wars Land. Update 9/14/15: Santa Claus will meet and greet with guests in a new Critter Country location this year, instead of in his usual location in the Big Thunder Ranch area. It seems that they are quickly phasing out that area completely as they prepare to begin construction on Star Wars Land. Update 12/20/2015: (Includes Some Spoilers From Star Wars: The Force Awakens) The new film features the Millennium Falcon prominently throughout all of the space scenes. With the Falcon slated to be one of the new attractions for Star Wars Land, it will be interesting to see which films they mainly draw from. 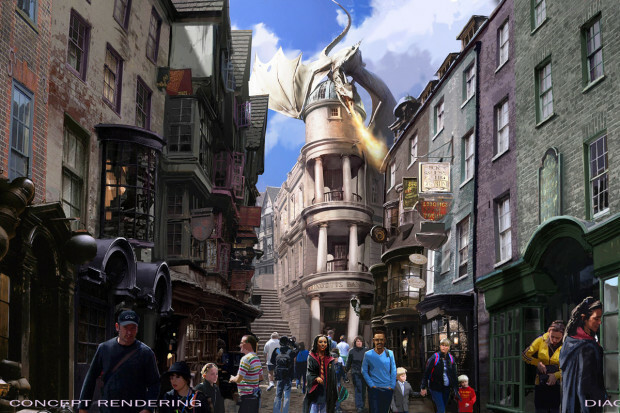 According to Screamscape, the new attraction could use the same ride system of the Harry Potter and the Forbidden Journey attraction out at Universal Orlando. This system will feature individual “cockpits” that will enter into moving miniature Imax screens that would allow for guests to feel as if they are actually flying the Millennium Falcon. Supposedly guest’s actions will actually change the outcome of these scenes. This is all very exciting stuff, but I will just add one opinion: I hope one of the two new Star Wars Land attractions features physical Audio-Animatronic figures at some point and creates a space this isn’t just on a digital projection screen. I have faith in the Imagineers and believe that they will create something truly unique. Update 1/11/2016: Just a day after the closing of many popular Disneyland attractions to begin the construction of Star Wars Land, Disney has released concept art the depicts how the back half of the Rivers of America will appear when the attraction reopens next Spring. Reports to Disneyland Cast Members state that the attractions will reopen in mid April. This image appears to confirm that they are rerouting the Disneyland Railroad closer into the middle of Disneyland Park. While the rerouting doesn’t seem to be nearly as dramatic as some reports, the railroad and Rivers of America will end up shorter than they were before both attractions closed. The artwork above is quite encouraging on the front that Disney will put money into improving the scenes along the riverbanks. Overall I hope that this closure leads not only to the positive construction of Star Wars Land, but also to the improvement of the entire Rivers of America. Be sure to follow along on our Facebook page where we have been constantly posting photos from the parks as they prepare for Star Wars Land construction. That wraps up an information filled article that should give you a renewed excitement about the new Star Wars Land coming to both Disneyland and Walt Disney World. 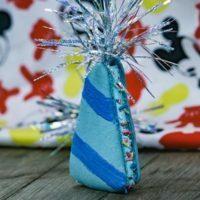 Join us on our newsletter at DisneyDose.com/Newsletter and on Facebook for more information when we receive it. If you are planning a trip to Disneyland, be sure to check out our guide to planning a Disneyland vacation and our article on getting the lowest Disneyland ticket discounts. Does anyone know if Disney will ever clean up Toontown a bit? I was there a month ago and it is looking really worn down. I know they closed the Florida version but will they ever do anything to revamp the California one? Nothing has been announced for Toontown at this time. Great news! thanks for the updates! I hope that California Adventure also gets a face lift in the near future! with more thrill rides! from Expedition Everest to the Rockin n roller coaster to seven dwarfs mine train!! Wow that would be lots of fun. Is toy story land only opening at disneyworld and not disneyland? 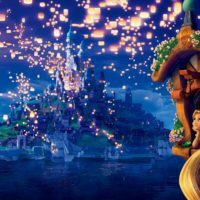 As, that’s my favorite Disney movie and would love to experience that when I go to Disneyland! Jacob, Toy Story Land is only opening in Walt Disney World. The land will be located at Hollywood Studios.